SFHA Planning and Land Reform Conference takes place on 21 March at the RICS in Edinburgh city centre. Being able to successfully navigate the planning system and secure affordable land and infrastructure investment are crucial in order for housing associations to play their part in building the new homes that Scotland needs. In recent years, new legislation on community empowerment and changes to land ownership have seen new opportunities for housing associations to develop in partnership with local communities. The Planning Bill, which is currently progressing through the Scottish Parliament, has been the subject of heated debate. With over 350 amendments to the bill, it’s the second most amended bill in the Scottish Parliament’s history. SFHA has argued for housing need to be properly integrated into the planning process at the regional and strategic levels, for access to affordable land and the introduction of new policies to deliver land at existing use value and land value capture to enable affordable housing to be built. 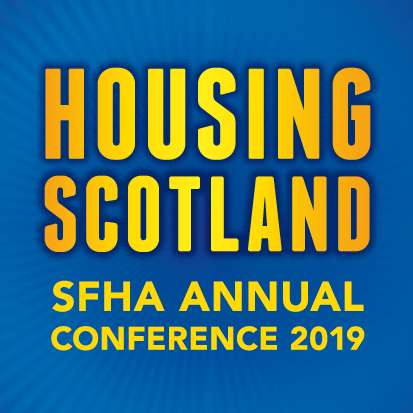 The SFHA Planning and Land Reform Conference will provide an update on the final content of the bill to ensure that members are able to understand and navigate the new legislative landscape that the bill will deliver. The event will also include an overview from the Scottish Land Commission on the next steps on land reform and its work on bringing compulsory sale orders into play. In addition to meeting the Scottish Government’s target of 50,000 affordable homes by 2021, housing associations and co-operatives also have a key role in developing and improving the quality of communities. The conference will also provide an opportunity to explore the funding and policy climate for regeneration, town centres and place making, where the challenge is both investing in existing and new homes. Changing demographics and aspirations mean that providing homes that meet people’s needs throughout their lives will continue to rise up the political agenda over the next decade. Making sure that the policy framework is fit for purpose and that the sector has the right funding and grant regime beyond 2021 will be critical to enabling housing associations to continue to deliver both the quality and scale to meet those ambitions. The Planning and Land Reform Conference takes place on 21 March at the RICS in Edinburgh city centre. Delegate fees start from £219 for SFHA members or £299 for non-members. Why not book three places and bring a fourth colleague for free?